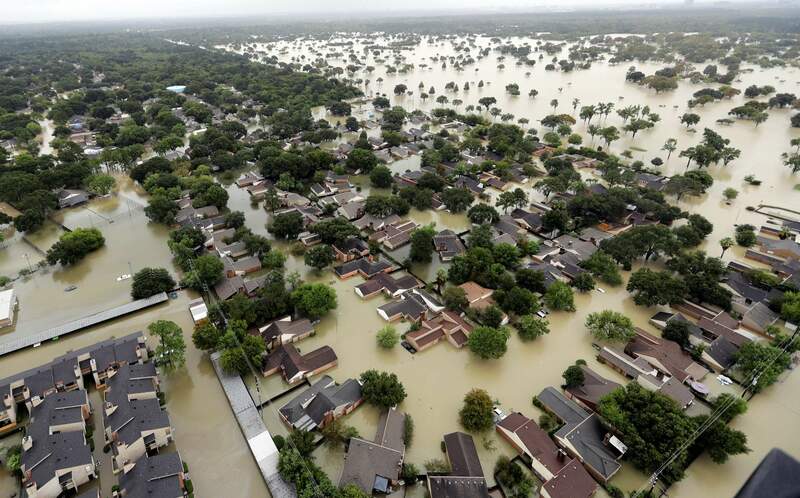 Water from Addicks Reservoir flows into neighborhoods from floodwaters brought on by Tropical Storm Harvey in Houston on Aug. 29. When the team members of Sky Ute Casino Resort saw the news of the flooding and devastation in Houston, they knew something needed to be done. Employees of Sky Ute Casino Resort went into action over Labor Day weekend, collecting nonperishable food products, diapers, clothing and more to aid those impacted by Hurricane Harvey. All donations were exclusively made by employees of the casino-resort or tribal businesses, and hundreds of pounds of needed supplies were collected. According to Red-Garcia, the donations were sorted and repackaged, bound for Houston on Monday by truck to be delivered to the Houston Diaper Bank, The United Way of Houston and The Food Bank of Corpus Christi.